This is second painting in my Endangered series. 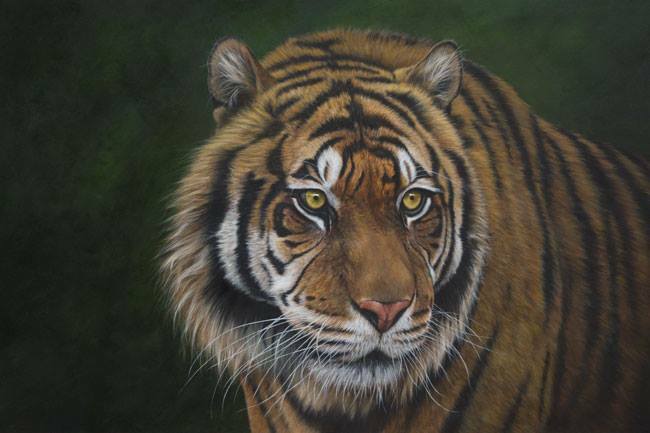 I was inspired by the look of intention in this Sumatran Tigers eyes. It made me wonder just what had caught his attention. Food, a rival, a sound maybe? The story of “What happens next” kept playing on my mind every time I worked on this. Such beautiful creatures ….